Parenting is by its very nature an ongoing experience of worry and self-doubt. Putting aside the moments of pleasure, joy, meaningful satisfaction and emotional closeness – hopefully in plentiful supply – being a parent means not being quite sure if we are doing the right thing, making the best choice, helping our child as much as possible. Sometimes the answer to that question is days, weeks, months, even years in the future as we observe how various challenges unfold. When our child reaches adulthood, we may finally get a more final, ongoing reassuring sense of their having become capable, caring, good people guided by values and priorities that seem worthwhile. Sometimes it’s clearly big issues: high school academic performance, college admission, getting and holding onto employment, developing friendships or long-term romantic relationships that are truly nurturing, having self-control of behavior. Other times it’s smaller, but still important concerns: getting materials organized for daily school participation, losing things frequently, participating with some success and pleasure in after-school activities. Sometimes it’s just a general worry and anxiety, which can be fueled by other parents’ worries even if our own child seems to be developing well. Adolescence with its stormy behavior is often an intense period, for the child and for the parents. Fortunately, this often “self-corrects” as the teenager matures, learns from his/her experiences, has helpful teachers and adults who hold firm with kindness, and receives guidance from parents. For this self-correcting to unfold however, the challenge at hand must be the child’s problem, not the parent’s problem to fix. It is precisely this anxiety for the parent of allowing the problem to be the child’s that prompts parents to intervene in ways that spare the child from the suffering and struggle inherent in learning how to address problems. Parents worry that the problem will overwhelm their child, leave him/her feeling inadequate and a failure in an ongoing, deeper, and more profound way. So, they step in to fix the problem and even prevent such problems from occurring as much as possible. A parent might intervene with a teacher, school administrator or coach to create a specific outcome. Or, be sure to bring forgotten assignments or lunches to school. Or, attempt to have disciplinary actions waived for their child, even if the consequences are deserved. There are times when a child is truly in danger, physical danger, and then a parent must step in, but such times are an exception and usually rare. An alternative parenting relationship is to provide guidance, advice, and help for a child to problem solve so that the child learns how to navigate and find resolution to challenges. Rather than intervene on a child’s behalf, or prescribe one “right solution” (usually based on our own experiences growing up), a parent helps identify what the issues are, how a child feels and thinks about it, what some alternative strategies and solutions might be, all the while seeking clarification and understanding, and keeping the message clear: the problem is the child’s to solve, with help and guidance, yes, but it is the child’s challenge (not the parents’ responsibility to remove it from the child’s life). 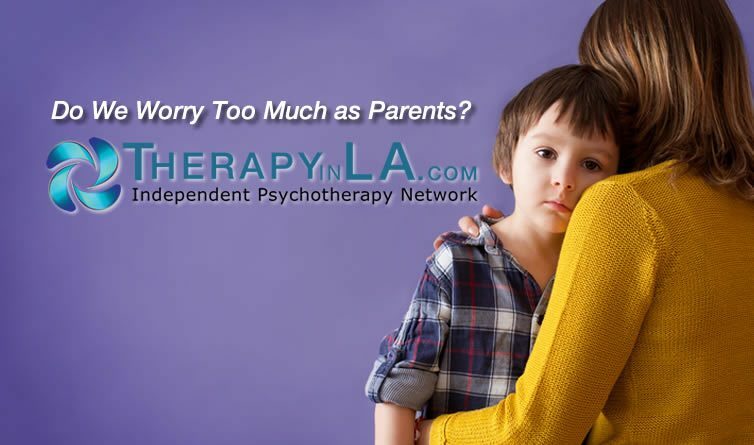 Parents who struggle with more intense anxiety often resort to being: “overprotective”, or “helicopter parents”. This struggle is outlined clearly in a recent Parenting article in the Washington Post (www.washingtonpost.com/lifestyle/2019/02/01/worried-youre-messing-up-parent-try-doing-less/noredirect=on&utm_term=.1634e556f858) It has unfolded over many years of parent education and counseling in my practice. With help parents can often develop alternative parenting strategies and styles to contain their own anxiety and parent more effectively. Copyright 2019 by Alan M. Solomon, Ph.D.